How Does Dairy Quota Work? How Much Does Dairy Quota Cost? How Do You Apply For A Cheese Import License? Do I Need A Zoosanitary Certificate? What Are The Specific Grade Standards That Must Be Met For Dairy? What Are The Specific Labelling Requirements For Dairy? How Much Dairy Can You Import Under CETA? If you are importing cheese, ice cream, milk, powdered dairy and other dairy products into Canada, you must know what government parties are involved, what regulations must be followed, and the fundamental aspects of dairy imports. Dairy imports into Canada are highly regulated and carry a high rate of import duty. The Canadian dairy industry is protected against high volume imports of foreign dairy products. Some dairy products are subject toquota. 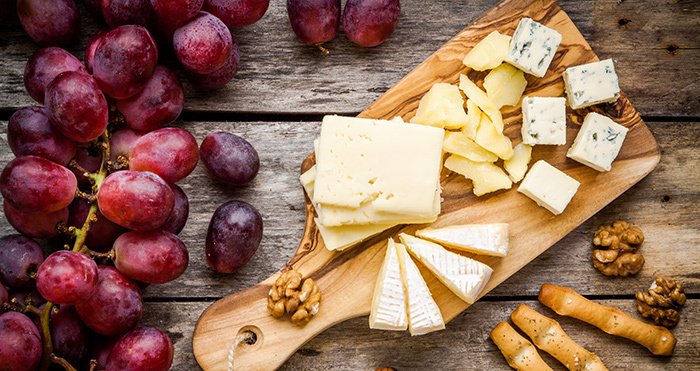 Cheese imports require a Safe Foods For Canadians License (if registering after Jan 15, 2019) or a cheese import license (if issued prior to January 14th, 2019) by the CFIA. The originating country dairy production process must not pose health concerns to Canada. Some dairy products from certain countries require Zoosanitary certification. The products must meet the grade and standard set forth. Specific labelling requirements must be met. Quota is a term used to describe how much of a certain volume or amount of product is allowed to be imported at a reduced or eliminated duty rate. When importing dairy products into Canada, quota often comes into play. Using Free Trade Agreements such as the Comprehensive Economic Trade Agreement (CETA), the Comprehensive and Progressive Agreement for Trans-Pacific Partnership (CPTPP) or the United States–Mexico–Canada Agreement (USMCA) (when ratified and in force) can allow international dairy manufacturers access to the Canadian market. A certain amount of dairy quota is allocated each year. For example, in 2019, under the Comprehensive Economic Trade Agreement (CETA) between Canada and the European Union (EU), 850,000 kilograms of cheese is allowed to be imported from the EU into Canada under quota. Therefore the cheese that is imported under quota will be allowed in at a reduced duty rate. Quota is issued to dairy importers by Global Affairs Canada. This application requests that a specific quantity of dairy be allocated to that importer. Once the total allocation of quota issued by shipment specific permits is reached, all further dairy imports will be subject to the regular rate of duty. How Much Does It Cost To Obtain A Dairy Permit? If you are using a Customs Broker to obtain the permits for you, additional fees will apply. How Do You Apply For A Safe Foods For Canadians Licence? You can apply for a cheese import license directly with CFIA though their online portal. You will need to fill out an application and provide payment information. CFIA requires information such as the name of the importer, the supplier, country of origin, shipped from origin, the requested port, date of entry into Canada, the quantity of product, and the value. Would you like to apply for quota? Speak to a Trade Advisor. Certain dairy products produced from animals that are subject to foot-and-mouth disease or originating from certain countries must be accompanied by a Zoosanitary Certificate. This document certifies the country of origin from which the product was produced and the animals from which they were derived. For full details please visit the Canadian Food Inspection Agency’s website. The specific grade standards that must be met are for certain dairy products. Please refer to the Canadian Food Inspection Agency, Import and Interprovincial Requirements for Dairy Products - Overview for more information on dairy grade standards. According to the Canadian Food Inspection Agency, information such as the common name, lactose content, additional terms such as whipped or cultured, cheese firmness and ripening characteristics, and a list of ingredients are just some of the identifying characteristics that must appear on dairy labels in Canada. For a full list of labelling requirements, please refer to the Canadian Food Inspection Agency Labelling Requirements for Dairy Products. Other dairy products such as yogurt, whey, ice cream and butter can also be imported under tariff rate quota; however, the total amount available is shared with all WTO countries.